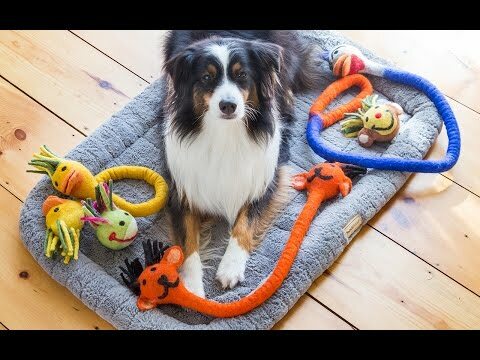 These all natural dog toys let you play with your pup and back a noble cause while you’re at it. 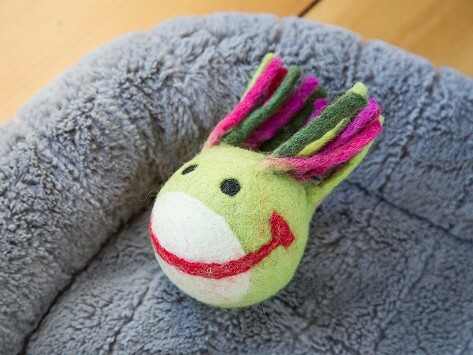 The Eco-Head Ball is biodegradable and made from all-natural boiled wool. Each one is handcrafted for fair wages by employing local Nepalese women. The jobs offer them safe work conditions and a steady income to send their kids to school. This little guy is great! Great toy for dogs that like toss-and-catch games. My sheltie loves it. Very cute too.